Pete Fettig and John Reynolds are licensed real estate professionals who run their business from the Keller Williams Flagship office in Millersville, Maryland Practically the center of the state of Maryland, Millersville is the heart of the “Golden Triangle” of Baltimore, Annapolis, and Washington DC. As native Marylanders, both Pete and John bring a unique perspective to and familiarity with the various markets and sub-markets within this rapidly changing and dynamic market area. This, along with their central location in the middle of one of the most sought-after and affluent areas in the country has resulted in a market share for The REYNOLDS|FETTIG Group that extends from the quiet northernmost suburbs of Maryland, the booming communities within Howard and Anne Arundel Counties, the rapidly gentrifying neighborhoods of Baltimore City, the Maryland suburbs of Washington DC, to the bucolic beauty of Maryland's Eastern Shore. Pete and John will happily provide references upon request. "The end result was that within six days I had 3 competitive offers and my home sold for full price – quite a feat. The time frame from putting the house on the market to the settlement date was seven weeks - I couldn’t have asked for more!" "They excel at communication and were always readily available. They are well organized, transparent and engaging and they kept me well informed throughout the entire process. I was always able to get in touch with them at any time; they answered my questions and continually provided useful information. They provide quality, excellent service and require the same of their support team who were also outstanding. Selling my home was a very emotional and significant process for me having lived there for 25 years. John and Pete were very aware of this and helped make the process go smoothly. Their job was to sell the house; my job was to get it ready to sell. With their eye for detail and suggestions, I was able to concentrate on getting my home in ready-for-sale condition, staging it and having it ready to launch. (Continued below)"
"John Reynolds and Pete Fettig provided outstanding service in representing me in the process of selling my home in Hunting Ridge. Their “team” approach proved to be a very efficient and successful means of selling my home. They are both strategic thinkers with an eye for detail. Each brings his own unique skills to the table and with their team approach I ended up with two people working with me to market and sell my house. They are very knowledgeable of the Maryland real estate market bringing a combined 20 plus years of real estate experience. I was particularly impressed with their use of comparative data which we used to price the house. (Continued below)"
"Pete and John were awesome to work with! From the very beginning when we decided to sell our home, they were there to guide us along the process from giving us recommendations on what we should focus on for improvements to the home, to the listing price, inspection process, etc. all the way through to settlement day. With all their help and advice we received the offer we were hoping for within days of hitting the market and couldn't have been happier with the outcome! We would definitely recommend them to anyone looking to sell or buy a home!!" "Thank you for all your hard work, we thoroughly enjoyed the experience and are very grateful that we selected your group to sell our house. Your entire team was always professional, friendly and responsive. You made all the rights calls the entire way through with pricing the house, recommending the work needed to sell, working with the buyers as well as saving us a lot of money with your contractor referrals. We will definitely hire you again as well as recommend you to all our family and friends. Thanks again!" "Pete and John went above and beyond in helping my wife and I prepare our condo for sale and find a new home. They did a great job answering our questions and were helpful with home inspection items, which was great as we were moving from a condo into a single family home. Some of the homes we wanted to look at were unusual (lots of "character") but Pete and John were enthusiastic throughout. I recommend them 100%." "If you want someone who will treat you as if you were their only client and your home as if it was theirs then you NEED John Reynolds and Pete Fettig to assist you in the selling of your home. Their office personnel, the title company, and all others involved were the absolute complete package. They were always on top of every step taken. As a project manager I work along side agents getting homes ready for sale in three states and my experience with Reynolds Fettig was one of the most enjoyable and easy experiences I have encountered. No hidden surprises, no games, or false expectations, you get up front people getting you the best possible price in a timely manner for your home. Four homes were for sale on our street and had been for a while. Less than 9 days after going on the market ours had multiple offers and we didn't have to drop our price in order to get it. We got more than what we even thought we would get when we first thought of selling. Great Company, Reliable People!" "John and Pete came into our lives after a 9 month nightmare. We had decided to sell our home and I went with a realtor who had been recommended to me. There was a lot of work that needed to be done to our home and I needed some help never having sold a home before. Well, long story short and 9 months later I had actually met this realtor once and spoke with her maybe 3 times on the phone. There was no support and guidance and the painter she recommended did a terrible job and I was so exhausted and worn out from working on the house and stress that I was about to just give up. Enter John Reynolds and Pete Fettig. John had been referred to me by the realtor that we were using in Savannah (Where we were moving to.) It's funny, that realtor called up north to the Keller Williams Flagship office and said he wanted to speak with the best realtor in Maryland and he was forwarded to John. Whoever did that referral was totally on the mark! John and Pete came to my home o"
"We met John and Pete at an open house and even though they represented the sellers, found them very informative about the neighborhood we were interested in. Based on that and the validity of other information they provided, we used them as both buyer's agent and selling agents for our home. John and Pete were consistently honest about the market conditions affecting the sale of our house and worked diligently to show us houses that met ever changing criteria because of changes to our living needs during the process. And just as importantly, they made it fun in the process recognizing that things were not going as smoothly as we hoped because of our ever changing needs. John and Pete easily adjusted throughout this process and made appropriate suggestions that helped us when we got frustrated." "Both John and Pete are consummate professionals who made me feel completely at ease with the entire process of finding a home, writing a contract, and getting to settlement. They tailored their communication style to mine - texts, emails, and phone calls were all quickly responded to with patience and respect. My kids and I can be a little goofy sometimes; but, John and Pete always rolled with the punches and made us feel as though we were their only clients and and that our happiness was very important to them. I highly recommend them." "From the very beginning, John and Pete were professional, laid back, fun and exemplary in integrity. Offering their honest and professional opinion on every house we saw including pointing out features that were not done well and also features and work that was done well. We will absolutely be calling them again when needed and recommending them to many friends." 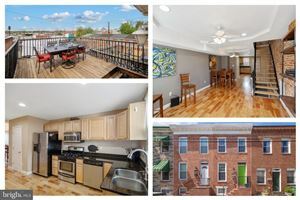 "The Reynolds-Fettig group assisted us with a rather complicated transition time at our rental house in Baltimore City. John and Pete produced sunshine and glitter and unicorns out of an otherwise stressful situation when our tenants needed to break their lease early. If you're considering selling or renting, I can assure you that this group has undergone a trial by fire and has proven their ability to remain diplomatic under pressure! Their real estate instincts are right on target, even when time is short and tensions are high. All in all, the Reynolds-Fettig group was flexible, reliable, insightful, proactive, social media-savvy, and got the job done. Highly recommend!" "John had a wide area of real estate to comb through and my main goal was value for money. I wasn't an easy client because I wanted urban convenience in a suburban setting. We found it in Columbia. He went above and beyond in spending an entire day researching, driving, accompnaying and representing me to shrink the options down to my final choice. John is a great agent. He listens and researches and represents. The greatest value he brought to me was in the search and in the sanity check. I needed an experienced sounding board and he delivered. I will definitely engage him again in the future." "We had the pleasure of working with John...John went above and beyond to make sure we felt comfortable with the entire process. Even if that meant talking to me at 11pm!!" "John is honest, listens to what his clients want, knows the market, and goes out of his way to make the housing search stresses as pleasant as possibl. He was extremely accommodating of my tight schedule and went above and beyond to come to me for drop-off and pick-up of papers, etc. Just one example! " "I noticed when John was showing me homes that he had truly listened to my wants and desires. He picked and chose homes that he knew I would be happy with. He also gave me the knowledge I needed to make the best decision possible in choosing a home for my family. We relocated over 600 miles away, so we involved the entire family in the house-hunting process. John not only impressed my husband and I, but he impressed our parents whom have real estate experience in another state. John was the kind of guy you would invite over for dinner with family and friends. He made it feel like I was house-hunting with a friend instead of a stranger." "Settlement date was very stressful, the buyers of my house were extremely difficult to deal with. John stayed and dealt with them and worked with them all day while I focused on moving and settling with the sellers of the house I was buying. He did a great deal to make a bad situation much, much better. I don't know what I would have done if I didn't have somebody I could trust so much to take care of it." " We have used John Reynolds to sell three houses and purchase one new home in the past six months. This was quite a busy and hectic time for my husband and me. I also had quite a lot of health matters that at times impeded the flow of things. John's professionalism, organization, honest approach and commitment to his clients made our process care free. I have referred him to several of our friends and will continue to do so. Did I mention that he sold our home in 9 days?" "John very quickly zeroed in on our needs and did a great job helping us to find our new forever home. At the same time, he did an excellent job of marketing our old home which sold very quickly, despite our listing during a horrific winter! John's attention to detail made both the selling and buying transactions move along quickly and smoothly. " "John acted as our buyer's agent and worked successfully with a highly idiosyncratic seller. We might have given up on buying the house if it weren't for his negotiating skills. He helped us make excellent connections to finance people and contractors. And he helped personally in getting the house ready for FHA inspection. " "He was available to me via telephone late into the evening, helped find a place with suitable schools and was persistent in tracking down the (other realty agency) listing agent for the place I ended up renting when she was exceedingly difficult to contact." "He worked hard and was especially caring in helping us find a nice home in a neighborhood with excellent schools for our children." "I had mentioned to John that we were thinking of downsizing. About a week later I received a call from him advising us of a property he thought we would be interested in. He took us to see the condo. We loved it and took it on the spot. He immediately found a renter for our home. All is good." "John Reynolds did an OUTSTANDING job in facilitating a non-contingent sale of ours. He also facilitated fixing up those items that needed to be done as well as ensuring compliance and follow-up with the Columbia Association. He always communicated in an extremely efficient manner whenever I needed his help. I am going to use John again when I sell my house in Annapolis. I cannot say enough superlatives. John is absolutely OUTSTANDING!"